The library at the SLBI has a comprehensive collection of around 2,000 botanical books which have been lovingly collected over the last hundred years. Everyone is welcome and use of the library is free, so just turn up whenever we are open (see below – no appointment necessary). Friendly volunteers will be on hand to show you the collection and answer your questions. We are a reference library so unfortunately books cannot be borrowed, but you are welcome to stay and read for as long as you like. You can search our online catalogue below to see the sorts of publications we have. 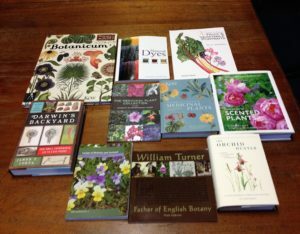 We also have a small collection of botanical periodicals. 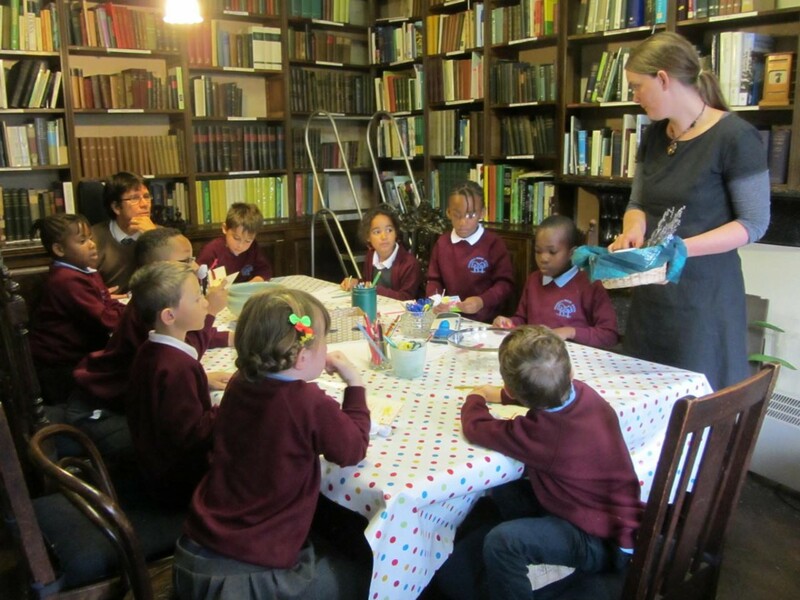 The library is in a delightful Victorian period room in a Victorian house which is full of character and original features. There is space for you to read our books at your leisure. When you need a break just wander in our beautiful tranquil garden. Thursday 10am–4pm, or contact us to see if it’s possible at other times. For information about how to find us, please see Visiting. Please feel free to Contact us with any queries about our collection – the online ‘search’ isn’t totally comprehensive so if you’re looking for something and can’t find it, do please call or email us. We are currently looking for additional volunteers to help in our library. 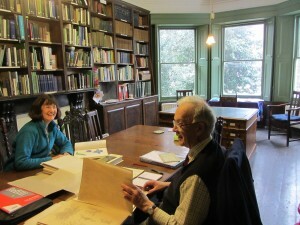 Volunteering can involve cataloguing and classifying publications, as well as helping visitors and showing them around the Institute. If you would be interested in helping us, on a Thursday, do please Contact us.